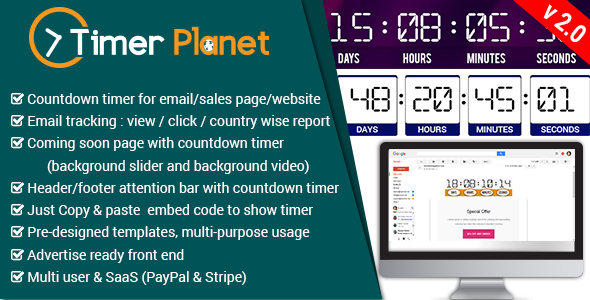 TimerPlanet is a marketing application which helps your to create urgency, scarcity to your customer. It is very helpful for your email marketing. Before this you never succeed to embed countdown timers in your emails. Yes, you heard right!!! You can create countdown timers to embed with your html email templates. You can choose your email timer among 18 pre-designed templates.